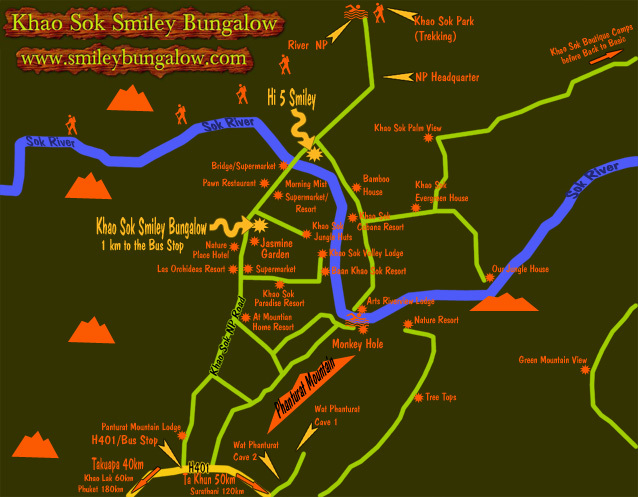 On the map you can see where is khao sok. 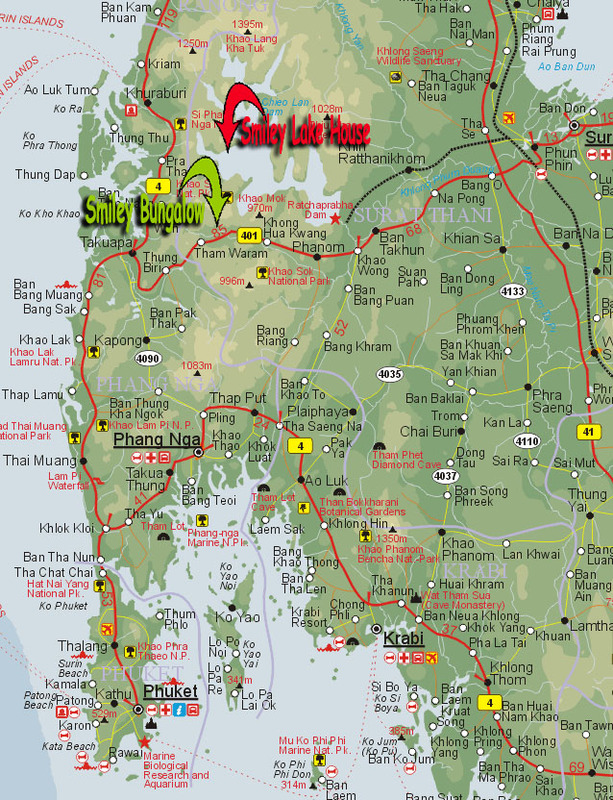 From Takua Pa you drive the 401, about 40 km to Khao Sok. 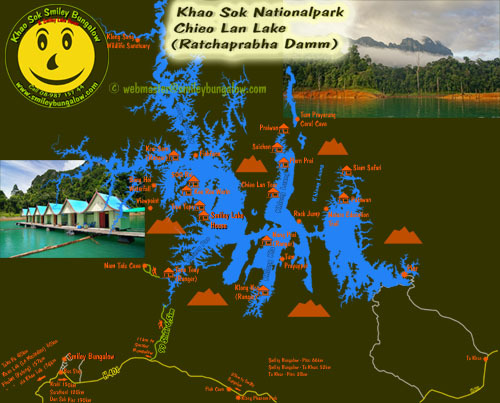 VIP Bus Bangkok - Khao Sok: Start from South Bus Terminal (Sai Tai) at 7.30 p.m. and is 812 baht. Arrive in Khao Sok about 5.30 a.m. after 730km. From Pattaya: Take Sawasdee VIP Night Bus for ~1100 baht, the office is in the 3rd road near the north pattaya road. It start at 5 p.m. and arrive 6 a.m. at Ta Khun 7/11. From here take the blue bus to Khao Sok for 80 baht. Every Day 4 Times: 5.00 a.m., 7.00 a.m., 10.00 a.m., 1.00 p.m.
Price: 880 Baht, Start 7.00 p.m. About 8.30 p.m. Dinner Stop. About 5.00 Uhr a.m. Sai Tai Busstation (South Terminal) Bangkok. You want go Koh Phayam or Koh Chang? From Takua Pa take the bus to Ranong start at 10.30 a.m. for 140 Baht. You can buy the boat-ticket to Phayam here too. Slowboat 250 Baht, 2.00 p.m.
Slowboat (1,5 hr) at 9.30 a.m., 12.00, 2.00 p.m., 4.00 p.m. Attention: This times and prices from march 2013, please ask on the busstation again! !